What if? I am sure I could say that about 50 times a day. What if I didn't stay up so late last night? 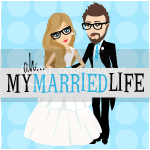 What if I married my high school sweetheart instead of Mike? What if I didn't buy those ridiculously cute shoes sitting in my closet and instead invested the money? What if? What if? WHAT IF? 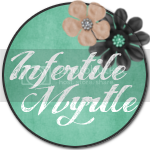 What if I was not infertile? How would my life be different? How would FERTILITY have affected my life? Now let's just take a step back and analyze MY life with infertility. Mike and I tried to get pregnant for 2 years before we decided to do IVF. We had 3 miscarriages, 7 failed Clomid cycles, 1 Femara cycle, 4 injectible cycles, and 3 failed IUI's. I do not claim to be the most infertile woman around, but that does not make our journey any easier. I quit my job, among other things, because of infertility. There were just to many appointments for me to keep a full time job. I devoted my life to trying to have a baby. I lived my life in two week increments. I was either waiting to ovulate or waiting to know if I was pregnant. I was always WAITING. I am sure this is an "Oh to familiar story" for all of my infertile readers though. I am sure you have all been-there-done-that. What if that very first baby had stuck? What if I had a 4 year old today? Where would my life be? The fact of the matter is that you can't always live in the What if's. I would probably be finishing my family right now with baby number 3 or 4. I would be joking with all of my friends and family about how Mike and I get pregnant if we even bump into each other in the hallway. I would be ignorant and would probably accidentally tell a friend that she would get pregnant if she would "just relax." I would still love my kids don't get me wrong, but would I really appreciate them for the miracle that they really were? I am not totally sure that I would. I have the most adorable little boy, that I never would have met with out infertility. I appreciate that little boy more because I remember the blood, sweat, and tear that went into getting him here. I am a much more kind, compassionate, and understanding person than I ever would have been without infertility. I am a better person because of infertility. This is easy for me to say now that I can stare into my little boys eyes. However while I was in the middle of my infertility journey, it never seemed like a blessing to be infertile. Now that we are going through all of this again, it still doesn't seem like a blessing. Having a baby does NOT cure infertility. It does NOT make it all better, but it has at least made me more gracious for what I have. "It's a Blessing and a Curse." I am just looking forward to looking back. Thank you for that post. It's awesome to hear that instead of focusing on the past, you are looking for the future and all the blessings in your life! Good luck with your journey and thank you for sharing your story on here. I love reading your updates and hearing where this journey is taking you. Hey Aly, I don't have a button, but I will grab yours in hopes that you become a follower of my blog and add me to your "Entourage" on the right hand side of your blog! Great post, by they way! I really enjoyed that post. I haven't yet got to the looking in my babies eyes but I do know that I will treasure each day I have with my children because I know how hard we worked to get there. Looking back will be such bliss! Wonderful post! I don't think we'll ever be rid of infertility, even if we have the children we seek. It will always be a part of us. What an inspiring and uplifting post. Thank you for sharing it. It is great to see you appreciate how fortunate you are to have been successful in your IF journey. I know it isn't over yet, but I'm wishing you nothing but the best! I love this post. It's hard not to live in the what ifs. congratulations on your little boy, and warm wishes to you on continuing your family! Great post. This is my first time visiting your blog. Congratulations on your little boy!